American doctors wrote about 29.7 million fluoroquinolone antibiotic prescriptions in 2016, according to the Centers for Disease Control and Prevention’s most current statistics. 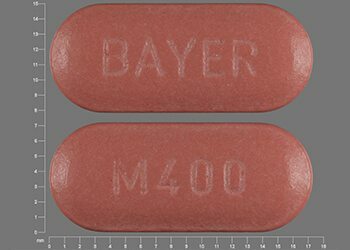 The U.S. Food and Drug Administration warns that fluoroquinolones, including Cipro (ciprofloxacin), Avelox (moxifloxacin) and Levaquin (levofloxacin), can cause disabling and potentially irreversible side effects such as tendon problems, nerve damage and aortic ruptures or tears. Fluoroquinolones such as Cipro, Levaquin and Avelox treat infections by killing or stopping the growth of certain bacteria. Researchers first discovered this family of antibiotics in the 1960s, but it wasn’t until the late 1980s that Cipro and other modern fluoroquinolones first hit the market. At the time, doctors primarily prescribed them to treat urinary tract infections. Since then, they have become the go-to antibiotic for many infections. 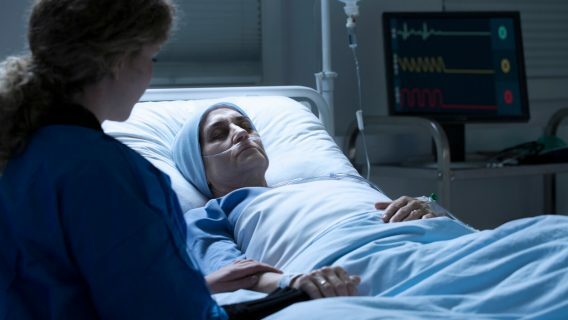 These drugs are potent and the U.S. Food and Drug Administration approved them to treat or prevent serious bacterial infections including anthrax, plague and bacterial pneumonia. What are fluoroquinolones used to treat? 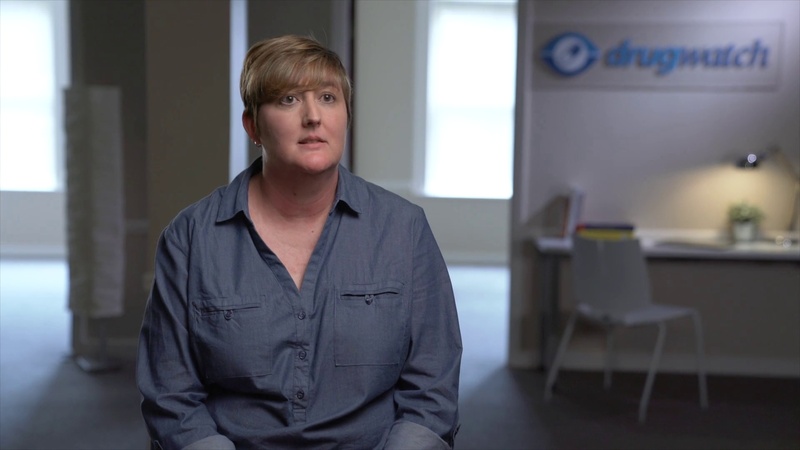 Registered Nurse Amy Keller describes several uses of fluoroquinolones. A 2016 FDA safety review found the antibiotics are associated with disabling side effects involving tendons, muscles, joints, nerves and the central nervous system. These side effects can occur hours to weeks after exposure to the drugs and may potentially be permanent, according to the agency. The most severe side effects of fluoroquinolones are considered rare. Some can be fatal. The medications carry the FDA’s most serious warning, a black box warning, for tendinitis, tendon rupture, peripheral neuropathy, central nervous system effects and exacerbation of myasthenia gravis. In December 2018, the FDA required a new warning about an increased risk of aortic ruptures or tears that can lead to dangerous bleeding or even death. People who suffered aortic injuries after taking fluoroquinolones have filed lawsuits over Cipro, Levaquin and Avelox. Because of the risks, the FDA has announced that patients with acute bacterial sinusitis, acute exacerbation of chronic bronchitis and uncomplicated urinary tract infections should only use these medications when no alternative treatment options exist. Dr. Mahyar Etminan, an epidemiologist at the University of British Columbia, said overusing these drugs is like “trying to kill a fly with an automatic weapon. As with other antibacterial drugs, fluoroquinolones do not treat viral infections such as colds, flu or bronchitis in people who are otherwise healthy. They should be used “only to treat or prevent infections that are proven or strongly suspected to be caused by bacteria,” according to the drug’s label. This is to reduce the development of drug-resistant bacteria and to maintain the effectiveness of antibacterial drugs. Dr. Lindsey R. Baden, an infectious disease doctor at Brigham and Women’s Hospital, agrees with the FDA. She told Consumer Reports that doctors often overprescribe fluoroquinolones because they work against many types of bacteria. “Fluoroquinolones play an important role in treating serious infections such as those caused by bacteria that are resistant to other types of antibiotics,” Baden told Consumer Reports. But in the case of less serious infections, they “should typically be reserved for second-line or even third-line treatment after other antibiotics have failed,” she said. Fluoroquinolones work by directly interfering with bacterial DNA, according to an article by researcher Katie J. Aldred of the Department of Biochemistry and Department of Medicine at the Vanderbilt University School of Medicine. She and her colleagues wrote these types of drugs affect the enzymes gyrase and topoisomerase IV. These enzymes work to build bacterial DNA, but they may also break it. The antibiotics enhance the DNA-breaking qualities of these enzymes, turning them into toxic compounds that “poison” the cells. Researchers believe the way these medications work also makes bacteria less likely to become resistant to them versus other antibiotics such as penicillin and tetracycline, according to an article by researcher David C. Hooper in Clinical Infectious Diseases. For example, bacteria that penicillin cannot kill may be susceptible to ciprofloxacin, according to the drug’s label. Patients who take these antibiotics should drink a lot of fluids. They can take the medicine with or without food. Six fluoroquinolones are currently approved for use in United States in the form of pills, injections and topical creams: ciprofloxacin, ofloxacin, gemifloxacin, levofloxacin, moxifloxacin and delafloxacin. Other fluoroquinolones such as Factive (gemifloxacin), Baxdela (delafloxacin) and the generic brand Ofloxacin are not as widely used. Maxaquin (lomefloxacin), Raxar (grepafloxacin hydrochloride) and Zagam (sparfloxacin) are no longer available in the United States. Meanwhile, Merck discontinued its drug Noroxin (norfloxacin) in 2014. And Janssen Pharmaceuticals reported to the FDA that it would stop making Levaquin and Floxin (ofloxacin). Cipro is the most widely used of all the fluoroquinolones. 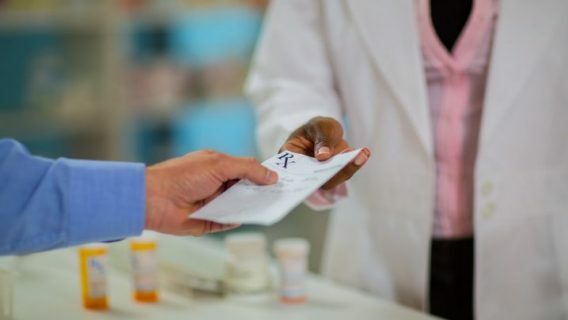 From 2004 to 2010, retail pharmacies in the United States dispensed about 122.5 million prescriptions for the drug, according to pharmacists S. Christopher Jones and colleagues at the FDA’s Office of Surveillance and Epidemiology. In 2015 alone, doctors in the United States wrote 20.3 million prescriptions for the oral drug, according to the CDC’s most current data. Ciprofloxacin, the active ingredient in Cipro, is also the active ingredient in the extended release versions, Cipro XR and Proquin XR. The FDA originally approved the drug in 1987. It is a second-generation fluoroquinolone. Doctors often prescribe it to treat mild-to-moderate respiratory and urinary tract infections, but it also treats other conditions, including gonorrhea, infectious diarrhea and anthrax. 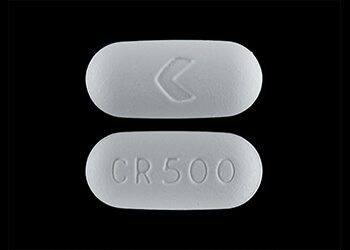 Cipro tablets come in 250 mg and 500 mg strengths. Levaquin is the second most popular drug in the class. From 2004 to 2010, Americans received about 88.1 million prescriptions for levofloxacin, according to the FDA’s Office of Surveillance and Epidemiology. It is a third-generation fluoroquinolone. The FDA originally approved the drug in 1996. In 2010, it was the best-selling antibiotic in the United States, according to The New York Times. Like Cipro, it treats respiratory and urinary tract infections. It also treats other conditions, including plague, anthrax, bronchitis and pneumonia. 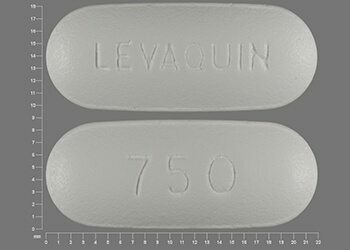 Levaquin tablets come in 250 mg, 500 mg and 750 mg strengths. Janssen Pharmaceuticals stopped making Levaquin, according to the FDA, though the agency does not specify why the drugmaker discontinued it. Although the company discontinued all versions of the brand name drug in December 2017, it may still be available in pharmacies until 2020, according to news outlet RTV6 in Indianapolis. “The decision to discontinue Levaquin was made due to the wide availability of alternative treatment options, and our focus on developing innovative medicines designed to address unmet medical patient needs,” Kelsey Buckholtz, a spokeswoman for Janssen, told RTV6. Generic levofloxacin is still available in the United States. The third-most-popular fluoroquinolone in the United States is Avelox, a fourth-generation medication. The FDA’s Office of Surveillance and Epidemiology estimates about 24.3 million people received prescriptions for moxifloxacin between 2004 and 2010. The FDA approved the drug in 1999 to treat multiple drug-resistant types of Streptococcus pneumoniae, the bacteria that cause pneumonia, ear infections and meningitis, among other conditions. It also treats skin infections, cellulitis and intra-abdominal infections. Avelox comes in 400 mg pills as well as an IV solution. Avelox comes in 400 mg film-coated tablets and a solution for intravenous use. Patients who use Avelox IV will receive the medicine in a slow IV infusion over 60 minutes. The medication label cautions against mixing the drug with other medications in the IV bag or IV line. Factive, Floxin and their generics accounted for about 1.6 million prescriptions from 2004 to 2010, according to the FDA’s Office of Surveillance and Epidemiology. Then, Janssen Pharmaceuticals discontinued brand name Floxin. The FDA approved the newest fluoroquinolone, Baxdela, in 2017. Noroxin, Maxaquin, Raxar and Zagam are no longer on the market in the United States in brand name or generics. Factive is available in 320 mg tablets and treats chronic bronchitis and pneumonia. Janssen Pharmaceuticals stopped making brand name Floxin and Floxin Otic ear drops, but the drugs are still available as ofloxacin, the generic brand. Ofloxacin is available in 200 mg, 300 mg and 400 mg tablets. Melinta Therapeutics manufactures Baxdela. The FDA approved it to treat acute bacterial skin and skin structure infections in 2017. The drug comes in 450 mg tablets and 300 mg injections. Merck discontinued Noroxin in 2014 for unclear reasons. It was available in 400 mg tablets to treat sexually transmitted diseases and urinary tract infections. Maxaquin is no longer available in the United States. The usual dosage was 400 mg per day. The drug caused phototoxicity in as many as 44 percent of patients. Glaxo Wellcome withdrew Raxar from the market in 1999 because a safety review had shown the drug could cause adverse cardiac events, The Los Angeles Times reported. In a statement to The Times, the company stated it was “no longer convinced that the benefits of Raxar outweigh the potential risk to patients, given the availability of alternative antibiotics." Mylan Laboratories discontinued Zagam in 2001. The company cited lack of sales, Dr. David C. Hooper wrote in an article for Wolters Kluwer’s medical database, UpToDate. Side effects linked to the drug include phototoxicity and cardiac events. The usual dosage was 200 mg per day to treat acute exacerbations of chronic bronchitis and community-acquired pneumonia. Fluoroquinolones have several drug interactions, and some are fatal, according to the medication labels. For example, taking certain antidiabetic drugs at the same time as these antibiotics can lead to serious hypoglycemia that could result in death. Before taking one of these antibiotics, patients should tell their doctor about all medications, vitamins and supplements they take. Speak with a pharmacist or doctor for a full list of potential interactions and how to avoid them. For example, antacids, multivitamins, products that contain calcium, iron, or zinc, and dairy products can affect how much of the medicine the body absorbs. So, the medication labels instruct patients to take the drugs at least two to four hours before or six to eight hours after consuming these and other products that contain multivalent cations.